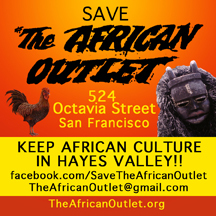 Help us Save The African Outlet! 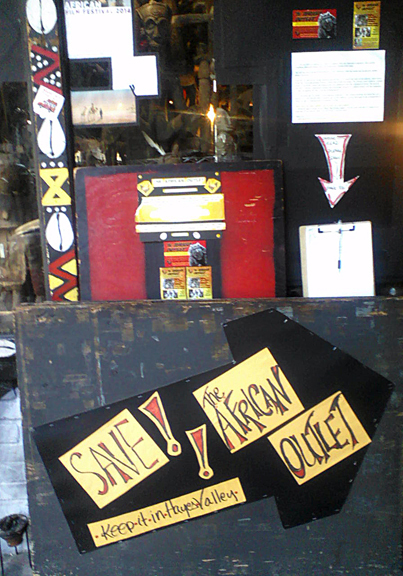 Keep African Culture and Diversity Alive in Hayes Valley, San Francisco! 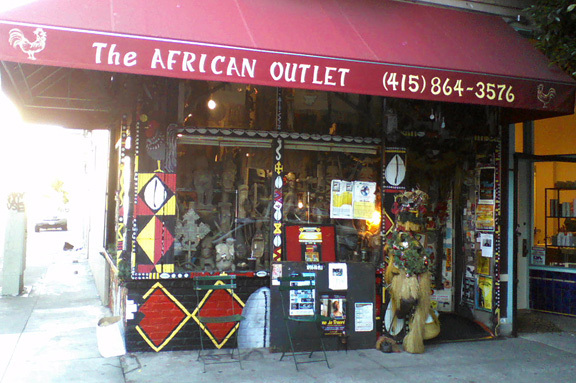 With great honor I have been working with my dear friends and community at The African Outlet getting their campaign online to save their store in 20 year landmark location. 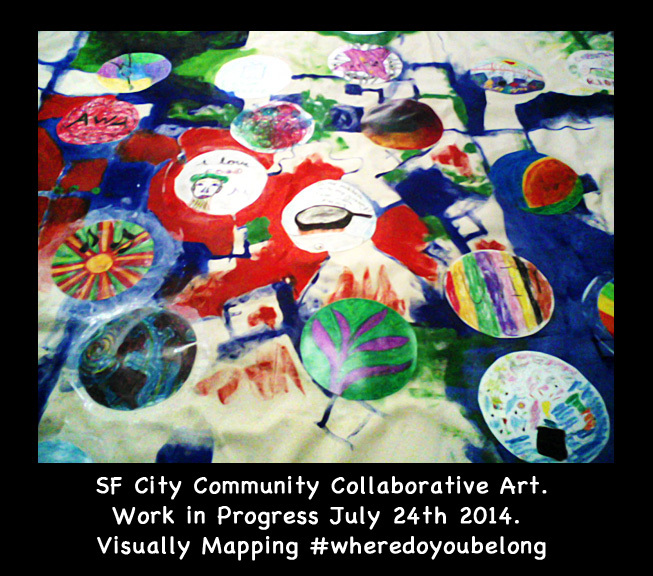 Creating Graphics, a facebook page and moveon.org petition under the direction of owners Judah Dwyer and Horgan Edet. Supporting independent local artists and merchants in the Bay Area and across Africa making them essential to our economy. Many of my hand-sewn items such as Voodoo Dolls and medicine bags are sold there and I collect from them many special charms to use in my work. Horgan and Judah are both very knowledgeable about the items and the culture/traditions/story behind everything in the store. 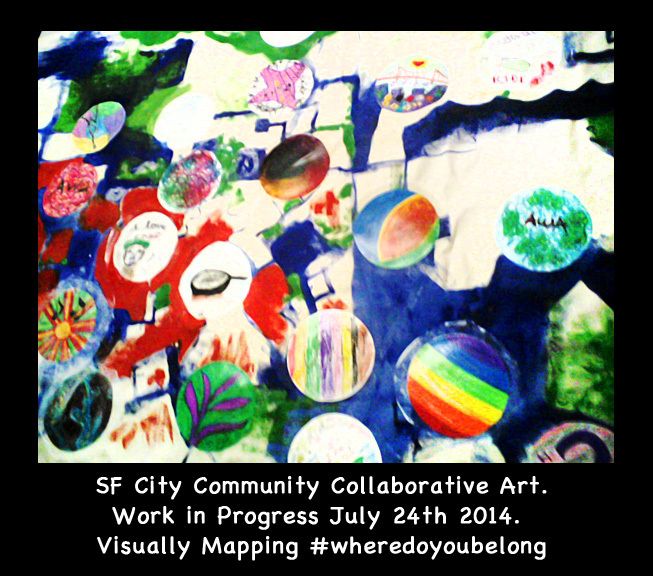 I go there often for inspiration, to learn and share my work with the community. I learn something new every time I go. 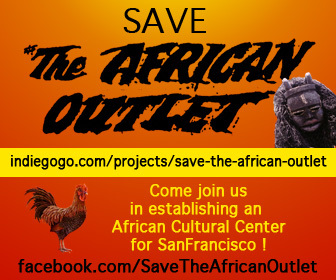 This will help get our message out to our official representative and show the landlords and property managers how much The African Outlet means to us in San Francisco and beyond. Thank you so much in your interest. Here are some graphics I made for the campaign which if you like, you can use to share our message and page links. If you do this let me know if you like I can post your link on my blog and give you some huge shout-outs in exchange as thanks. Much Respect and ONE LOVE!